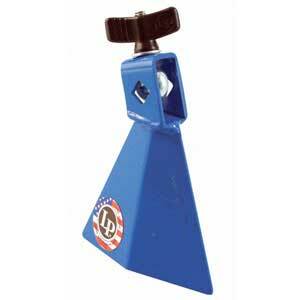 LP Jam Bells have a unique shape that creates high pitched sounds. They have little sustain which makes them perfect for playing accents. Available in two sizes: low pitch - red, and high pitch - blue. These are the smallest and highest pitched bells that LP offers.